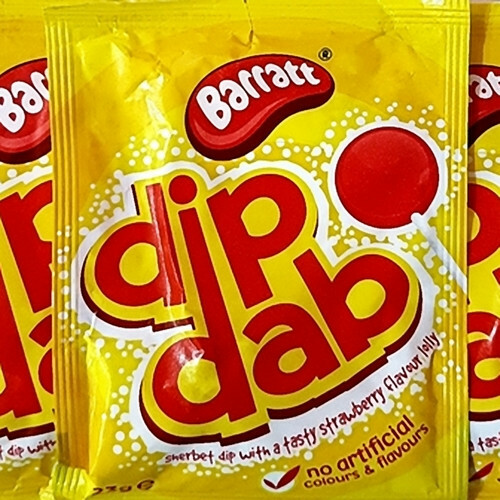 Dip Dab - An absolute classic if you grew up in Blighty in the 70s and 80s! A sachet full of fluffy white zingy sherbet with that unmistakable red, juicy, strawberry flavour lolly stuck in the middle. I don't know about you, but I could never resist bypassing the lolly and pouring a load of the fizzy sherbet into my mouth - how uncouth (but how delicious!). Our Dip Dabs are the classic recipe with only natural colours and flavours.